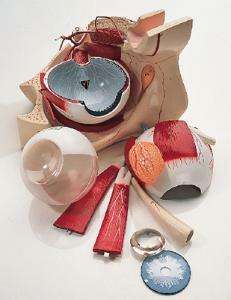 The exceptional 6x enlargement of this model makes research easy. 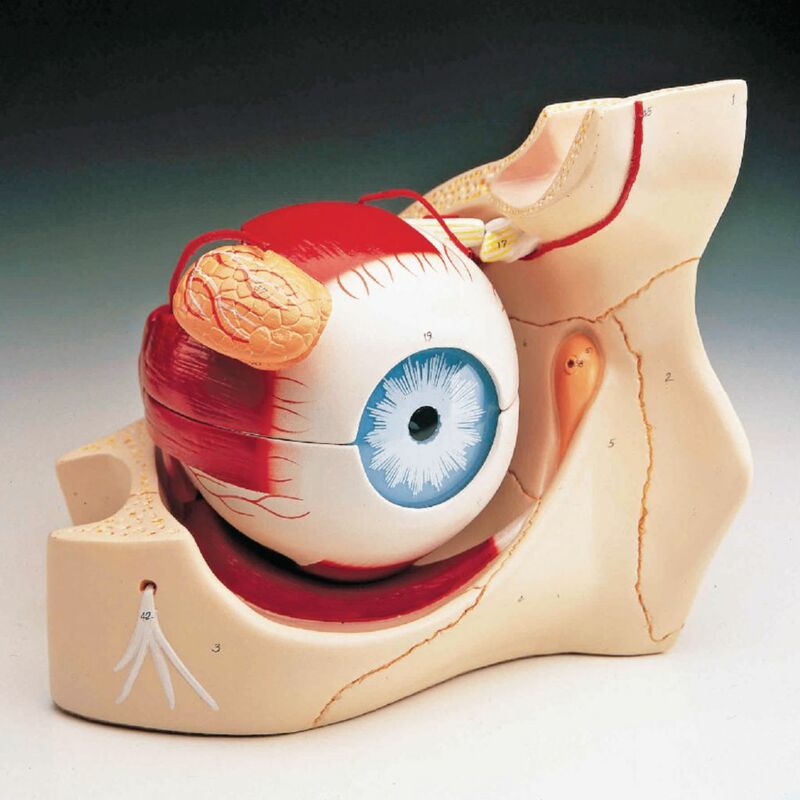 Ideal for demonstrations due to its large size and comprehensive presentation, this model recreates how the eye moves in the socket. Remove the top half of the horizontally sectioned sclera and vitreous humor, with its enlarged schematic of retinal cell structure, to reveal the choroid and retina with a blind spot. 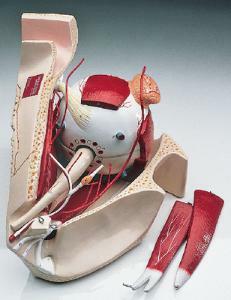 The cornea and iris unit, optic nerve, lens, which can be used to demonstrate inverted images, and the superior and lateral rectus muscles are also removable. 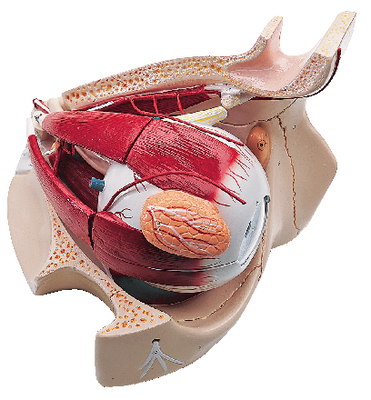 The eight-part eye model rests on a bony orbit.